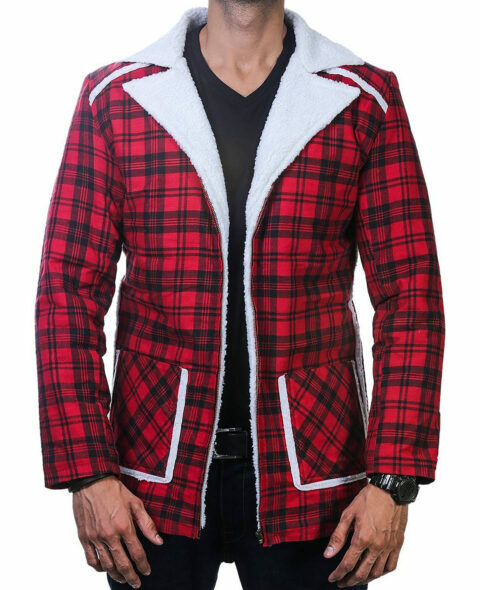 The wonderful red stripes jacket is the idea taken from a television show named as “Being Human”. It was a wonderful serial that has gained sturdiness popularity among people. The faux leather or real leather is used in the making of the front part of the outerwear. It is worn by superstar Sam Witwer. He played the leading role as Aidan Waite. The super soft black lining is added to the dress. The charming Aidan Waite Jacket has slim fitting style. Two zipper pockets are given at the chest. Two inside pockets are also given. One zipper pocket is added at left sleeve. The shirt collar style is increasing enchanting impression. The front zipper shutting gives you easiness in wearing. You can wear it in all kinds of social gatherings. It will make you eye-catching among several people. The long sleeves of Being Human TV Series Sam Witwer Leather Jacket have buttoned cuffs. As good as expected. Nice fit lovely soft leather. Well worth ordering. Bought this jacket & was very well priced & far better than I expected, lovely fit & good quality throughout. Thoroughly recommend it to anyone.